Virginia Nosek, age 93, passed away November 20, 2017 in Evansville. Virginia was born the daughter of Robert Gordon Hudson and Alma (Zopf) Hudson on November 2, 1924 in Evansville, IN. Virginia worked as a work order dispatcher for over 40 year at Bucyrus-Erie. She was known for her unconditional love for her family and friends. 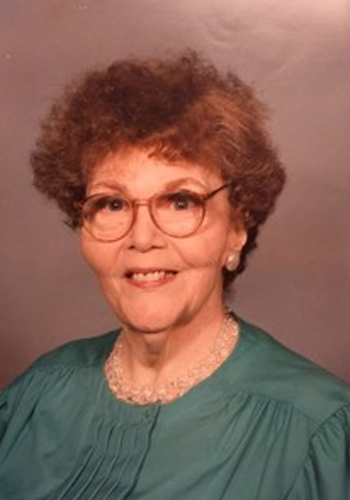 She enjoyed playing cards and bingo and was an avid reader. Virginia was a lifelong member of Our Saviour Lutheran Church. Virginia Nosek is survived by her son Michael Hudson and Daughter in law Valencia Hudson; niece Cathy Stephenson and nephew Robert Hudson. Virginia Nosek is preceded in death by her grandson William Edward Hudson; and brothers William Gordon Hudson and John Frederick Hudson. Visitation from 11 a.m. to 12 p.m. with services at 12 p.m. officiated by Pastor Robert Schneider at Sunset Funeral Home on Monday November 27, 2017 with interment to follow at Sunset Memorial Park. Visitation: Monday, November 27, 2017 11 a.m. to 12 p.m.
Funeral Service: Monday, November 27, 2017 at 12 p.m.
Service Details: No details are available.